The title was originally announced for Xbox One only but was also released for PC. Quantum Break is an electronic third-person action game produced by Finnish studio Remedy Entertainment. 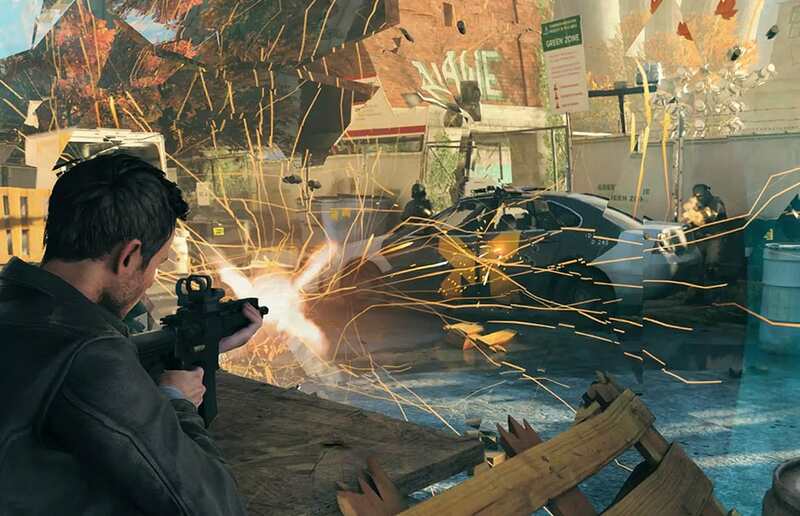 In essence Quantum Break is a science fiction story and one of the key elements of the title is its strong narrative. If you like black holes, travel back in time and also enjoy lots of action, then Quantum Break is for you. In the story you take on the role of Jack Joyce. The game starts at a university, where you will help Serene, who is an old friend, in a scientific experiment. Arriving there you discover that this experiment is nothing less than a time machine. Obviously, something goes terribly wrong with the experiment and the structure of time is corrupted, the universe becomes unstable and Jack gains powers that allow him to control time. Because of the very nature of the thematic proposal of the game, history does not present itself linearly. And neither would have. She is too complex and is much better taken advantage of the way Remedy worked. It takes advantage of a scientific background thought with great care, which makes the game universe more plausible. As in all time travel history, you will find a paradox somewhere. The narrative of the whole game revolves around an element known as Novikov’s principle of self-consistency. It basically states that actions that create paradoxes or alter an already established timeline can not occur. And Quantum Break works this concept all the time, and it serves as the basis for antagonizing the main characters, generating their motivations, and also bringing philosophical issues such as free will, fate, and what is right and wrong. This all becomes very clear during moments called Junction where the player, in the skin of Paul Serene, friend of Jack and also main villain, can choose between two options of how to follow the story. 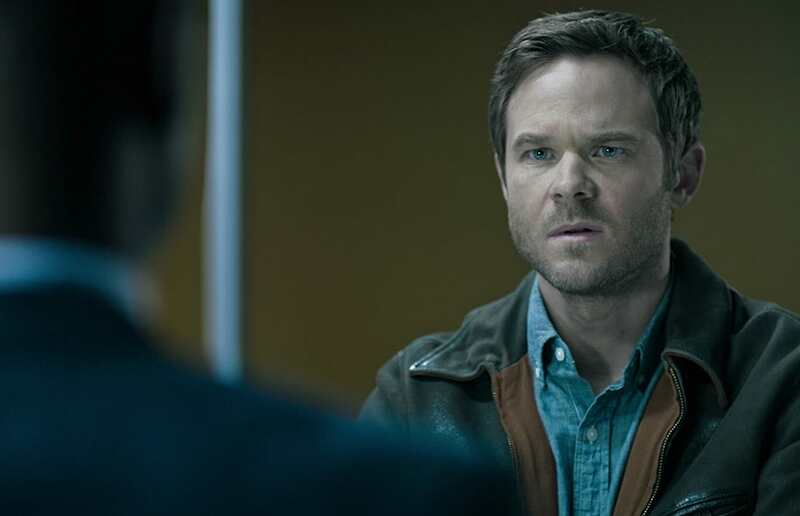 One element that differentiates Quantum Break from other titles when it comes to telling the story is the presence of four small episodes of live action. Of course this has been done before, but it does not give a similar form. They appear after these times where the player has to choose which course to follow. The choice made influences the events of these episodes which is very cool. Some say that this breaks the immersion of the game or that the focus given on some non-main characters ended the idea. But there are those who argue that the episodes can bring more detail into the story and make you understand and sympathize with the villains. The level of production of these episodes and the acting is no small thing and deserves to be taken into account. But if on one hand the story is so cool and so well explored, on the other it leaves to be desired when it is mixed with the game itself. Many elements of the narrative are only presented through collectibles as gigantic emails that break the rhythm of the game. Important information will simply be ignored and dropped if the player does not commit to fetching and reading all the plot elements scattered across the maps. Not to mention that by the end of the game you will have read a book and this can tire many players and discourage the search for details of the cool story of Quantum Break. 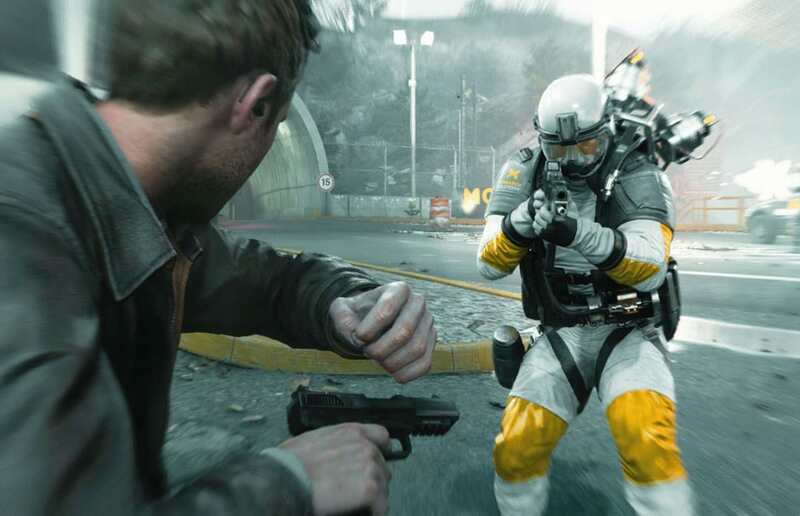 If on one hand the story of Quantum Break shines, the same can not be said of the gameplay. She’s not bad, but some Remedy choices end up making the playing experience a bit frustrating. Starting with the most obvious element possible: the movement of the character. The animations that surround the character are weak and add a lag input similar to what you see in series like GTA or Tomb Raider. The character seems heavy, difficult to move. There is still the fact that the jump and the grabbing mechanism on objects has not been well implemented. You can not skip multiple objects, you can not climb on so many others. And even when it does, it does not seem fluid enough. There are people who have a greater sensitivity to this kind of thing, so be aware that there is a lot of it in Quantum Break. Another important aspect that gives flow and rhythm to the game is the strong presence of a game design principle called the Isolation Principle. Basically, for you to introduce a new mechanic to the game, this principle says that you must first add this element in a controlled and safe environment without enemies or threats to the player. Then, once the player has learned this, he is thrown into a real situation, in which he will have to turn around to be able to use that element to the maximum and win the challenge. In Quantum Break, this is so clear that it’s almost drawn. During the first two acts, the player is constantly introduced to the new powers and game mechanics that will be used during the course of the campaign. During all this time, you will have a trivial mini-puzzle to be solved in an environment without enemies. This is the only way to continue the game. After that, you will find a small set of enemies to see if you have understood well what to do. And finally, a larger set, where you will be really tested. And what problem? Well, in the game what happens is that it is combined with a temporal vision power that is nothing more than a half-lazy path highlight. The game is locked with invisible barriers and there is little space for exploration and Remedy knows this and needs to get you by the hand with these two design elements to get you moving forward in history. This breaks the pace of the game, which makes it monotonous and predictable most of the time. But all is not lost because although these mechanics are introduced in a dubious way, they are very cool. The temporal manipulation powers and how you can use them to interact with the scenario, solve small puzzles and destroy all enemies that cross your path are fun and well explored. You can create shields, explosions, slow down time, run super fast and so on. They fit well during fights, which are focused on making you use all these powers to eliminate enemies. There are some criticisms about the absence of a cover system but the purpose of Remedy is precisely this: the game is not for you to hide and shoot, is to run away using all their powers and eliminate everyone with style. All powers can be improved, but the enhancement tree is not the strength of the title. The options are little varied and do not impact so much in the battles, mainly because the level of difficulty of them is very low since the enemies have an artificial intelligence more for the artificial one than for the intelligent one. As there are still very few variations of enemies, the title counts on the force of the mechanics of the temporal powers to increase the experience during the battles. When the subject is the visual part, Quantum Break tends to please. The distinctive lighting of the Remedy titles is present with great force and can be noticed in the various points of volumetric illumination and in the great variation of results possible when mixing the temporal powers. The creativity of some situations creates some jaw-dropping scenes that will get you to fix every detail. Effects like motion blur and chromatic aberration are used in an exemplary way in the title. In general, these effects are used in a specific way. For example, chromatic aberration is used together with a change in the color of the game during junction moments, where the player chooses which path to follow. The distinct look of the rest of the game indicates that that piece is different from what has been found so far, and further on, it creates the consistency that a game so badly needs. The cutscenes accompany the rest of the game look and are well crafted. We want to highlight the faces of the characters that have been excellent and the extreme detail dedicated to their facial expressions, which helps to give life to the scenes. Coincidence or not, the biggest visual sin of Quantum Break comes from a technique used in visual effects called Temporal Reprojection. In search of higher performance, Remedy chose to use this computational technique to generate effects and textures in 1080p instead of natively inserting them into the game. The result is lower color accuracy, lower resolutions in some effects and a certain blurring of various and various graphics in the game because of this technique. The native sound of the game is good but nothing spectacular. Ambient noise and the effects applied to them also tend to be what we expect from a title of that level. 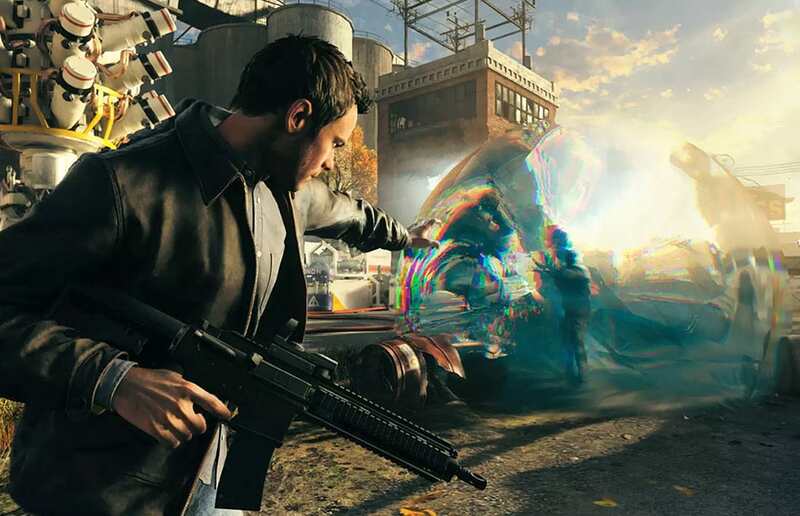 Where Quantum Break really shows what it came for, it’s when temporal distortion effects are activated. During scenes where the weather is frozen, for example, it is possible to get close to the sound sources and realize the quality of the Doppler effect that the audio engine has created. When you pass near a bullet that has been fired you will notice the slow motion noise of the air being torn. When there is some collision or explosion trapped in a temporal loop, its sound is reproduced as well and this is simply too much. Regarding other sound effects aside, it is possible to notice that the game correctly presents the sounds according to the environment in which they are presented. Not only with the effects applied during the time distortions, but also with the positioning of the sound sources and the reproduction of their audios, the game presents a consistent work of sound production. Playing this game in a setup with surround audio is really very satisfying. This adds amazingly to the atmosphere of the game. Jack’s powers seem more real and the universe the title proposes becomes more tangible. The feeling of being able to hear these effects is very good and brings a realism very welcome to the game. The soundtrack does not show up much, but when it does appear, it’s one hit after another. The music of the game is excellent and has an electronic footprint that accompanies all the tracks and a well-marked percussion for the moments of greater action and a piano to give that calmer or sad mood. Vocals are little used and reserved for the most special moments. The result is an epic soundtrack that goes from purest adrenaline to deep down melancholy. But the game is not limited to that and also presents moments in which the music is lighter and more moderate, to balance with the various moments of the story. The narration has the quality of the performance, once it was made by the actors themselves. As excellent, they eventually took that acting ability to dub the game, enriching the scenes and created universe and making Quantum Break a title with more life and personality. The game has Portuguese dubbing as well as translation for the interface and subtitles. The narration in Portuguese is good, but it suffers from the problems of always like the desynchronization between mouth and speech, besides that the dubbing in Portuguese was not able to apply with the same quality the effects used in the original voices. One of the main problems we notice is, for example, the differentiation between any talk of Jack Joyce during the game and his speeches during the interview. In the original version you can notice a difference of the audios while in the Portuguese version, which can make things a bit confusing. Quantum Break is a good game. Quite fun and very interesting, it is certainly a title you will want in your Steam library. The biggest problem is its price, which is too high considering the short story size and the low replay factor. You will at most play twice to see how another possible choice at the junction points would have changed things. But taking into account the innovation in gameplay due to the mechanics of time distortion and the nature of your main story, you will have so much fun that you will lose track of time while playing. If one day you find it on the promotion, you can catch it without fear of being happy.